In this Martin & Sylvia's Nature School story,"They Were Here," after attending a concert in the town hall, brother and sister learn that some famous people had visited their town in the past and had a big impact on the town’s identity. Later in the week, during Wilderness School, Martin learns that a forest is impacted every day by visiting animals, though their impact may be very subtle. This leads him to a remarkable discovery — one that makes him wonder if some of those famous people had actually made an impact on the forest as well. 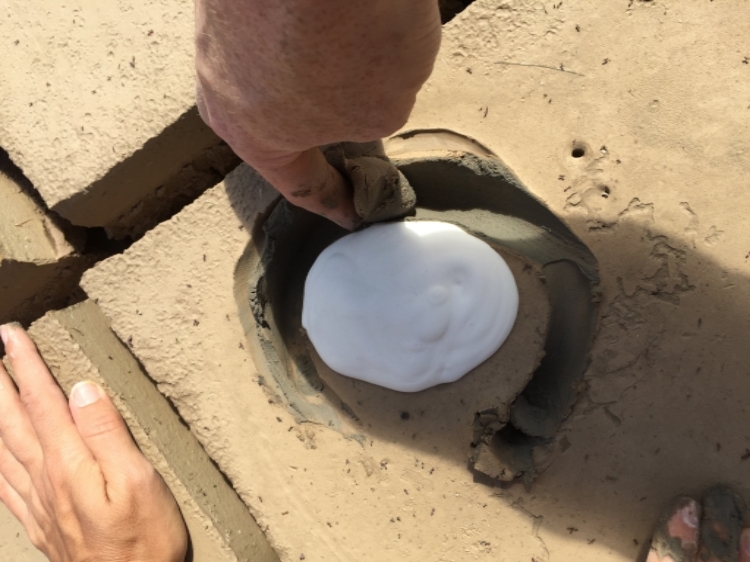 Today we are joined by Dave Scott, director of Earth Native Wilderness School, who shares with us his method for creating plaster casts. 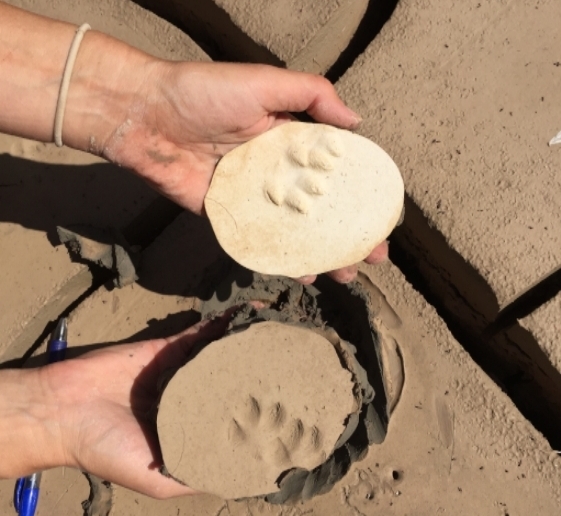 Learn how to make plaster casts of animal tracks. This activity is super fun because you can make a mold of a track and take it home to study or show it off to your friends. 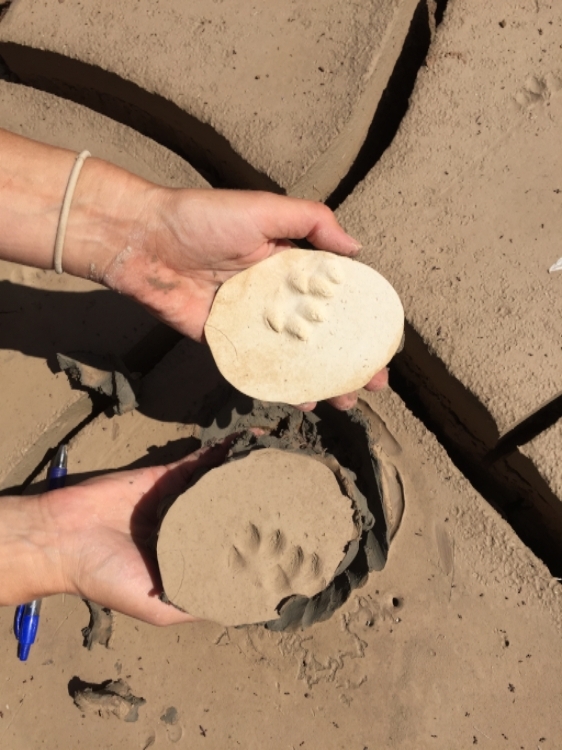 It also gives us a great link to a cool nature experience and a window into exploring natural mysteries and learning more about animal tracks. Find a track that you would like to plaster, preferably in a sturdy substrate (soil type) like clay or sturdy dirt, or even moist sand. Tip: make sure you have all of the tracks you want to plaster identified before you mix the plaster as it will set up relatively quickly once it is mixed. When doing this with children it is best to make a few extra plaster casts as someone is bound to accidently break theirs when removing it or by accidental dropping. If you have made extra casts you can just hand them another and crisis averted! 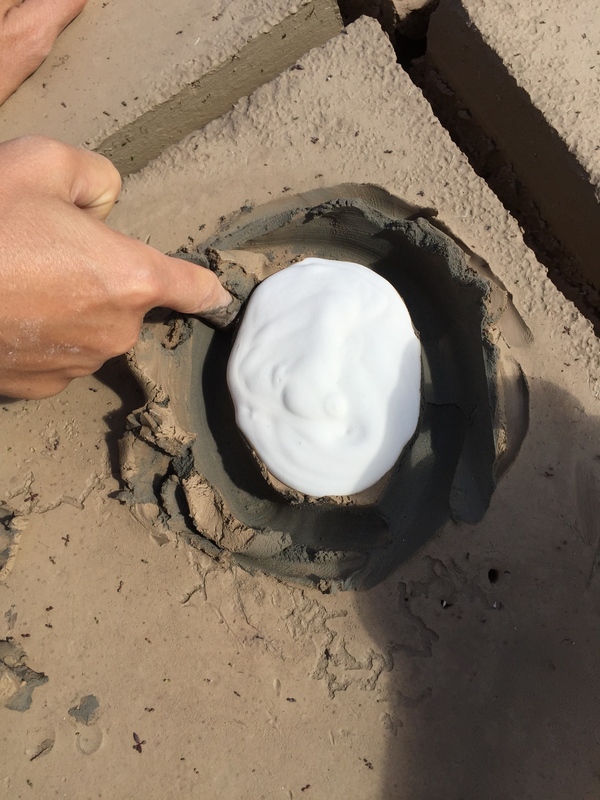 To mix the plaster start by pouring a little water in the bottom of your cup before you pour in the plaster to avoid having dry plaster stuck in the bottom when it is mixed. Mix plaster and water until the plaster is well mixed and about the consistency of loose pancake batter (Should be approximately 2 parts plaster to 1 part water). 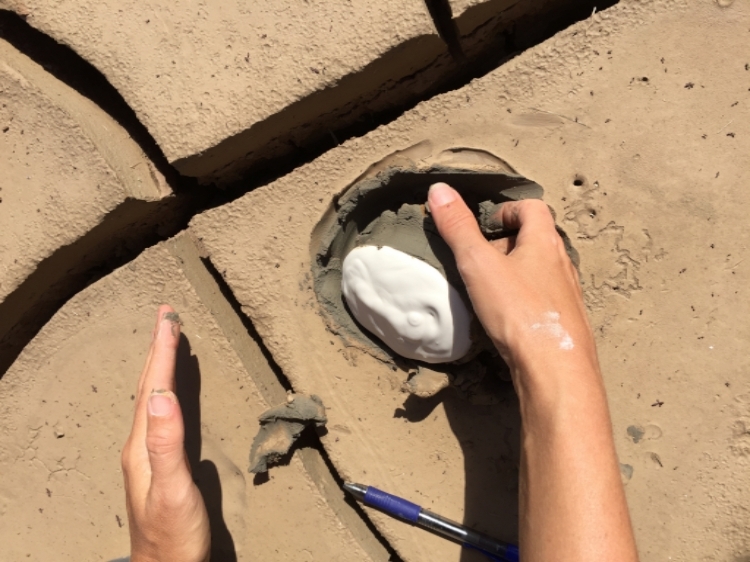 Pour the plaster into the track gently starting with the toes and working around in a circular manner until the track is fully covered, then pour a little more on top and make sure it is at least ½ to ¾ inches thick to ensure that it is durable when dry. It is sometimes helpful to create a little dam around the track with dirt or cardboard so the plaster wont spread out too much when you pour. Once it is poured, let the plaster sit undisturbed for about 45 minutes or until you can run your finger across the top of the plaster cast and it comes off clean with no white plaster residue. When picking up the cast, dig underneath it from the side and pick it up from underneath. Do not pry it up from one corner as this can cause it to break in half in the middle. Wash any remaining dirt off of the bottom with a hose or in a creek or other water source. The plaster will continue to harden over the next day so be extra careful with it until it fully hardens and then treat it as you would a semi-fragile object after that, i.e. if you drop it will break. Tip: Can’t find any animal tracks? You can make a cast of your own track! Find some soft soil (the sand volleyball court at your local park will work perfectly if you don’t have soil around your house, though you might need to moisten the sand a bit if it is not already moist). Then make a track using your foot, or hand, or just draw something in the dirt or sand, and plaster it! Earth Native Wilderness School is a Central Texas based outdoor education school that strives to help our students build deep relationships with nature. The school offers year round classes to Adults and Youth including summer camps! Check out their class schedule and learn more about the school at Earth Native Wilderness School. Dave is the founder/ executive director of Earth Native Wilderness School. He is also the co-author of Bird Feathers: A Guide to North American Species. As an educator, Dave’s passion is to help his students establish strong lifelong bonds with nature and the outdoors through knowledge of wildlife behavior and track and sign, increased sensory awareness, wilderness survival skills, self-reliance, and the knowledge of place. Dave’s greatest love is spending time outdoors with his wife and kids.